Hospitals are generally the entry point for new technologies to the healthcare system. HB-HTA facilitates better investment decisions allowing hospitals to become more efficient by reducing unnecessary use or by avoiding inappropriate investments. An ever increasing stream of new health technologies claims to have the potential to solve many of the current challenges in healthcare and provide answers to unmet health needs. HB-HTA makes it possible to take better-informed decisions supporting effective, safe and sustainable healthcare. 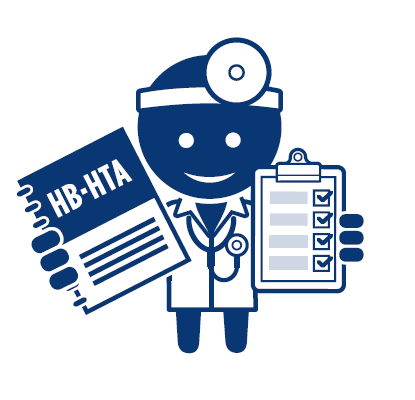 HB-HTA is based on scientific knowledge and relevant hospital-specific information. It is objective and targeted to a specific context. Information derived from HB-HTA differs from information provided by national or regional HTA agencies: HB-HTA is rapid and timely. It is tailored to the individual hospital’s setting and to the specific information requirements of hospital managers there. And it is done in collaboration with the users of the health technology analyzed.